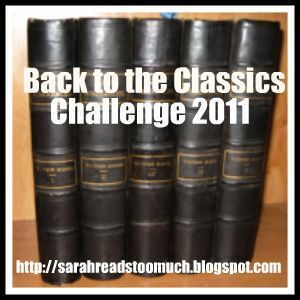 One of my challenges for next year is the Back to the Classics Challege hosted by Sarah Reads Too Much. Check out the link for details. Essentially you have 6 months to read 8 books. The categories are in bold. My choices are in italics. I've begun my challenge reading! Books that I've finished and reviewed have a star and link below. A 20th Century Classic - O Pioneers! When I saw that there was a new graphic novel version of Homer’s epic story of Odysseus wandering his way back to Ithaca from Troy, I thought I’d have a look. I’ve never read a graphic novel before, but I’ve been curious about the genre since it seems to be exploding in popularity. Moreover, I've read several adaptations of The Odyssey over the years and almost always enjoy seeing how different authors present the material. The Odyssey by Gareth Hinds is a fine rendition of the tale. (I’m not going to summarize the familiar plot.) This version is a very quick read. (Almost too quick-which may mean I didn’t ponder the pictures as much as I should have?) It builds tension nicely at the end. And it is a beautiful book. The artwork is impressive. If you like graphic novels and want a taste of this classic work, I recommend the book. If you want a quick overview of what happens in the Odyssey and enjoy illustrations, I also recommend this. I think what keeps me from being more glowingly enthusiastic is that I’m just more of a words-on-a-page person than a visual person. A picture may be worth a thousand words, but somehow I prefer the thousand words. I’m not very good at scrutinizing panels of pictures and figuring out what’s going on. I need the labels or the dialogue bubbles. Is that impatience on my part or is it just a difference in the way my brain works? 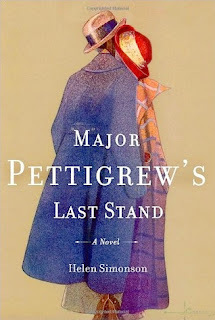 Having had a stressful Christmas week for a variety of reasons, I was fortunate in my Christmas weekend book choice, Major Pettigrew’s Last Stand, by Helen Simonson. This is a gentle, cozy, romantic story about two people who are middle-aged (their children consider them quite elderly) and yet who are not at all ready to be put out to pasture. Major Pettigrew, a widower, is the picture of an old English gentleman. As eldest son, he inherited the family’s rather crumbling modest estate along with an enormous pride in his British heritage and one of a pair of "Churchills." His Churchill is a valuable old hunting gun that would be worth even more if it had been kept with its mate. His brother inherited the other, with the understanding that the guns were to be reunited on the death of one or the other, and handed down as a pair to the next generation. As the book opens, Pettigrew has just learned of the death of his brother. His reaction is a mixture of shock, grief—and concern for the guns. At this moment, Mrs. Ali enters the scene. The widowed owner of a local convenience store, she is intelligent, cultured, educated, and comes from a Pakistani family (although she herself was born and raised in England.) She brews him some tea; they chat; and Pettigrew realizes how much they have in common. The story then takes us through the aftermath of the death of Pettigrew’s brother. We explore the people of the small English village and their prejudices. We suffer through the quarrels and bad behavior of both families. We smile at the idiosyncracies of the villagers and Pettigrew’s wry commentary. We watch Pettigrew scheme and agonize over his Churchills while silently criticizing everyone else with an interest in the guns for the way they scheme and agonize. And we watch the unlikely friendship between the "old English gentleman" and the "Pakistani shopwoman" grow into something more. Pettigrew does not behave well at all times himself, but he is always polite—which is, he was taught, the most important thing. It is fascinating to watch him struggle with his own notions of what is right, so deeply ingrained for so many years. Major Pettigrew’s Last Stand is a lovely and entirely satisfactory tale of newfound love at its most surprising. I've begun the Challenge! My initial post and rules are below. 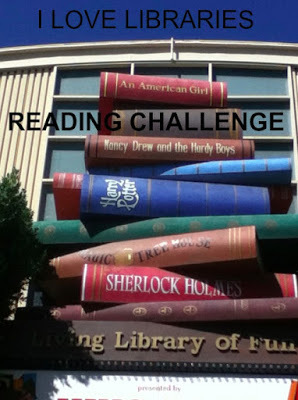 I'm hoping to complete 10 books for the challenge. Here is a list of completed books with links to reviews (if reviewed). I know I said I wasn't going to do any more challenges, but these are books I'm going to be reading anyway! 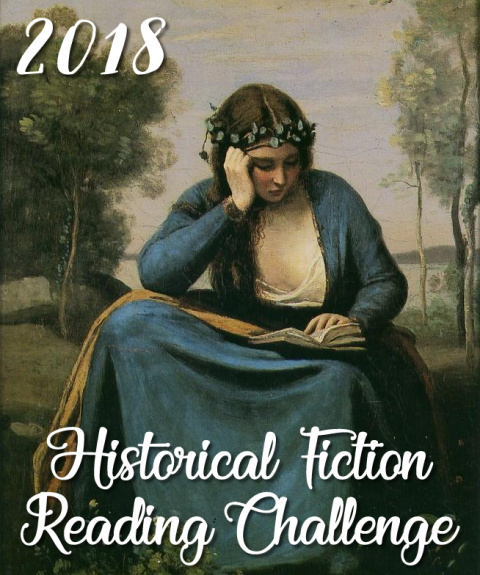 The Historical Fiction Challenge is being hosted by the team at Historical Tapestry. I'll be shooting for level 3: 10 books. I'll keep you posted. Check it out if you'd like to join the challenge! I don’t read a whole lot of contemporary YA fiction. I think it’s best appreciated by...well...young adults. However, I did find the premise of Antony John’s new book, Five Flavors of Dumb, intriguing, so I decided to give it a try. And the book delivered! Piper Vaughan is an 18-year-old girl whose life changes when she sees three classmates—the band Dumb—stage an impromptu performance on the high school steps. Piper feels the energy but can’t hear the music. Because she’s deaf, she can’t tell if they are actually any good or not. A semi-hostile encounter with the band members afterward leaves her with an opportunity to be their manager IF she can find them a paying gig within a month. Piper throws herself into managing the band. Unfortunately, Dumb needs serious help. The members have raw talent and energy but their possibilities are overshadowed by their disorganization and personality conflicts. While Piper is doing all she can to get the dysfunctional band mates in line, we learn what is going on in her life. Her father was recently laid off. Then her parents raided her college fund to pay for cochlear implants for her baby sister. Now, her family is wrapped up in baby Grace’s recovery. With each of Grace’s achievements, Piper is left feeling increasingly alone and flawed. To prove herself, to find her own identity again, it becomes more and more important that the band succeed, even as it becomes more and more likely that it will self-destruct. Five Flavors of Dumb is heartfelt, sensitive, and funny. There are surprises along the way as the characters learn things about themselves and each other. Piper is a strong and likeable protagonist and readers will root for her success. And any reader can appreciate this book—whether you’re a teen or a parent of one! I couldn’t sit back and wait for someone to give me A Play of Piety for Christmas. I had to buy this new release from Margaret Frazer for myself. Then I bumped it to the top of my reading list. I couldn’t help it. I’m addicted to the "A Joliffe the Player Mystery" series. I highly recommend that you start with the first book in this series, A Play of Isaac, and read on through to this one. It’s harvest time in 1436. Joliffe, at one-time a simple actor and now a spy for the powerful Bishop Beaufort, has been allowed to rejoin his company of traveling players until his services are required again. While glad to be back among comfortable old friends, he is not so happy to discover their situation. They’ve landed in a village with a fine charity hospital--badly in need of its services. The troupe’s leader, Thomas Basset, Joliffe’s acting mentor and close friend, suffered a severe attack of "the arthritics." These left him bedridden, thereby immobilizing the players. The healthy members of the troupe were commanded to aid with the harvest. Rose, Basset’s daughter, became a hospital cook. Here they wait, until Basset improves enough to move on. If he improves. Picking up the job of jack-of-all-trades about the hospital, Joliffe settles in to wait also. He has some mulling over to do, and some healing himself, given the spy training he has been undergoing. He’s suffering nightmares and, if not quite regrets, at least questions about the way his life is heading. Faced with the possibility that the company might not be able to return to its former way of doing things, he sees how much he will miss the life, and wonders why (by attaching himself to Bishop Beaufort) he is risking losing something that suits him so well. "He did not know. Except that had wanted not only the life he had been living but more. Not other, and not instead, but more." Joliffe’s yearning for that ill-defined more is always palpable in the "Player Mystery" books. It is, no doubt, what provided the wanderlust and the capacity to constantly transform himself that drove him to become a player in the first place. It’s evident in the intellectual curiosity that entangled him in the detective work that brought him to the bishop’s attention. And now it embroils him in figuring out the murders taking place here. There are visitors at the hospital, the gluttonous Mistress Thorncoffyn and her haughty grandson Geoffrey. As heirs to the hospital’s benefactor, they are entitled to some privileges, but not as many as they demand. As unpleasant as they make themselves, it would not be surprising if someone were to wish them gone. But would someone go so far as to murder Mistress Thorncoffyn? When suspicious deaths begin, Joliffe goes to work gathering clues once again. A Play of Piety is a fascinating character study rather than an adventure-packed thriller. Joliffe’s insight into human nature is matched by the perceptiveness of many the same people he is studying. It’s always the interactions among the characters I love so much. With this book, Frazer goes back to her roots in some respects, putting the political/historical aspects of Joliffe’s journey on hold while he reacquaints himself with the other players. It’s a fairly standard mystery from a plot standpoint. But the richness in these books is watching the development of this mystery man turned player turned detective turned spy as he tries to hold onto the part of his life that he holds most dear– but that unfortunately was not quite enough. Now the question is: how long do I have to wait for the next book? Kelsey at The Book Scout is hosting YA historical fiction reviews, giveaways, and author interviews in December. For her review of The Queen's Daughter look here. To read my interview and enter a giveaway for a chance to win a copy of the book click here. If you're a YA historical fiction fan, head on over to Kelsey's blog! FRIDAY- ANYTHING GOES: What's your sign? I only had posts planned for KY author week to run through Thursday, ending with golden oldies. I wasn't planning a Friday post, but decided to put this one up just for fun. I am not horoscope reader - usually. But I do read the comics page of the morning paper while eating my breakfast and occasionally my eyes stray to the right to check out what the stars have in store for me. The generic fortune-cookie like horoscopes are sometimes momentarily entertaining but almost always forgettable. Except every once in awhile, one jumps out as being bizarrely apt. I loved this one for my son: You do like to be entertained, and yet the activity level need not always be at such a high. You'll enjoy kicking back and doing quite a bit of nothing at all. But the one that really caught my eye was this one of mine a few months ago: While traveling down the road, you may realize that you're just as much a hazard to the traffic on the right of you as you are to the traffic on your left. What kind of horoscope is that!?! And why did I feel it was speaking directly to me? How about you? Has a generic newspaper horoscope ever seemed peculiarly on the mark? If you're looking for a place to connect with other book bloggers and share your love of reading and blogging, come join the book party hosted by Jennifer at Crazy for Books. Hands down, my answer is the characters. If I'm drawn in by well-developed, emotionally compelling characters, I don't mind if the plot is a bit slow, or if there isn't a whole lot of plot for that matter. (As long as the storyline isn't ridiculous.) But a book can have an intricate, page-turning plot and be a complete bore for me if the characters are cardboard cutouts. Where do you weigh in on the plot vs. character question? Janice Holt Giles is one of the grand old dames of Kentucky literature, having written numerous novels about Kentuckians of the past. In The Believers, young Rebecca Fowler marries her childhood sweetheart, Richard Cooper, and expects that she will live happily ever after. She adores Richard and he is devoted to her. Unfortunately, she gives birth to a stillborn child, and Richard is unable to come to grips with the loss. Convinced they are being punished by God, he looks to the new Shaker religion and, liking what he hears, he joins their community, bringing Rebecca along. At first, stunned by what she finds, particularly the fact that men and women must lead separate lives, she expects their stay will be temporary. If Richard loves her, he, too, will decide this is not the life for them. But Richard becomes more and more wedded to the Shaker community and his only interest in her is the control he retains over her—he is her husband; therefore, she must (in his mind) do as he commands. This includes signing over the deed to their farm to the Shakers. When she refuses to do this, he considers her to be willful, stubborn, and sinful. He assumes continued enforcement of the Shaker rules will wear her down. Rebecca clings to the tiny bit of autonomy she is able to retain as she continues her life in the community. She refuses to commit entirely to the Shakers because she is unable to accept their doctrines wholeheartedly. But how can she leave if Richard is determined to stay? 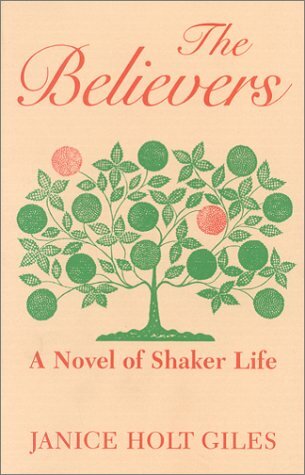 Rich in the details of late eighteenth century Kentucky living, as well as those of the Shaker community, The Believers is an engrossing tale of a strong woman caught in a situation that may remind readers of the modern-day closed religious societies that capture headlines from time to time. It is a coming-of-age story and a lovely romance. Trusting her own judgment, Rebecca must make difficult choices and defy the man she has always loved. Two caveats. It is a bit heavy on the use of dialect. Moreover, the way it deals with/portrays Rebecca’s slaves is embarrassing. Nevertheless, it’s a good book to read if you want to give Janice Holt Giles a try. 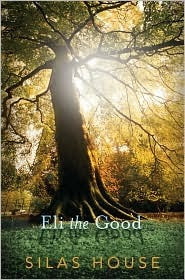 I’ve seen Eli the Good by Silas House (one of Kentucky’s finest contemporary authors) marketed as a young adult book, but after reading it, I’m not sure why. Unless it’s simply because Eli is young. I’ll just recommend it to young and older adults and let you all decide for yourselves who likes it more. Eli the Good takes place in 1976, the year of the bicentennial. The protagonist, Eli Book, is a ten-year-old boy. Actually, the way the book is narrated, he’s an adult looking back on his ten-year-old self. This was a pivotal season in his life—his youthful innocence was stripped away as he not only became aware of family turmoil and secrets but also learned how to cope with the results. His father, a Vietnam veteran, suffered from PTSD. Eli’s sixteen-year-old sister was going through some major adolescent rebellion. And Eli’s beloved Aunt Nell moved in for an extended visit. She had been a war protester, and the residual tension between Eli’s father and Nell threatened to boil over at every turn. Finally, Eli’s best friend Edie learned her parents were going to divorce, and Eli had no idea what to do to help. This is a lot for a ten year old to process, but we see it filtered through the eyes of the adult Eli became. It makes for a beautifully tender story. Also, don’t forget, it takes place in 1976. House fills the book with references to music, clothing, movies, even brand name foods that were popular then. For today’s young adults, this is historical fiction. For many adult readers, this is a stroll down memory lane. House is an award-winning writer for good reason. The prose is gorgeous. Eli is a sweet protagonist, and you can’t help but hope that in a family this full of love, the problems will somehow sort themselves out. Since I am spotlighting local authors, I’ll add squeeze in another category—a middle-grade book, dealing with girls’ friendships/relationships. Nice and Mean by Jessica Leader is a fun foray into contemporary tween culture as nice girl Sachi and mean girl Marina sign up for a video class at school, each with her own secret agenda. The author does a great job of getting into the heads of each of the girls. It’s particularly thoughtful in the way it explores what motivates a "mean" girl. Marina’s behavior is not excused or judged, but over the course of the book Marina gains more insight into her own conduct and the consequences of her actions. The situations and characters feel authentic, and I really cared about what would happen. It's a great read for middle grade girls, but older teens will also recognize the conflicts and appreciate the issues that are raised. The first book in my Kentucky authors week is Take Me Home by Brian Leung. Although not a KY native (neither am I) Leung is currently an associate professor of creative writing at the University of Louisville, and the protagonist hails from KY, so this book counts. 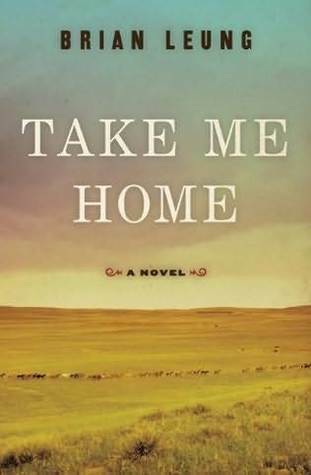 Chronologically, Take Me Home tells the story of Addie Maine, a down-and-out but plucky young woman in the late 1800's who moves west from Kentucky to Dire, Wyoming, upon a summons from her brother, Tommy. Tommy wants to try his hand at homesteading, but the land is rocky, dry, and barren. So he sets her up in his hole-in-the-ground shack to hold onto the claim while he earns their keep in the local coal mine. Before long, Addie is hunting game and selling it to the miners with the help of Wing Lee, the cook in the Chinese half of the mining camp. Unfortunately, the friendship that springs up between them (the one redeeming part of their lonely lives) is a very bad idea. The Chinese are hated by the white people of the town, who blame them for all that’s wrong with the hardscrabble existence that goes along with being coal miners out in the middle of nowhere. The book actually opens with Addie as an old woman returning to Dire for the retirement party of a different Chinese miner many years after the events that caused her to flee Wyoming. (There was a riot against the Chinese, during which she was shot–this isn’t a spoiler, you find this out at the beginning of the book.) The book is told as a series of episodes that flash backward and forward among Addie’s early months in Dire, the time immediately surrounding the riot, and the time of her return. Eventually the time points converge. Wing Lee’s point of view is introduced in some of the episodes. The narrative is somewhat disjointed, particularly starting out, until you get used to the time shifts. But maybe this disorientation, this difficulty settling in, is intentional—to give you a feel for how Addie and Wing felt, always out of place, never able to get comfortable or belong. There are beautiful passages in the book and the characters are well developed. Given the circular way the book is written, you know the ending as you start; but even so, there are questions to be answered as the story unfolds. It becomes more interesting as you delve deeper into the lives of the main characters. I wouldn’t say that I was surprised by anything that happened. On the other hand, I didn’t feel cheated. The story unfolded exactly as it had to unfold. It’s a satisfying tale. And incredibly sad. In my mailbox is a meme hosted by The Story Siren. It's meant to encourage blogger interaction and a chance to share your excitement about books you've recently acquired one way or another. 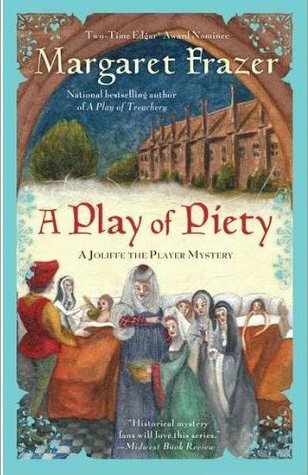 Books are constantly coming into my house and I don't think I'm organized enough to participate in the meme on a weekly basis, but this week one of the books I got was Margaret Frazer's new release A Play of Piety. I've had this on preorder forever. As I mentioned in my review of A Play of Isaac, I have a thing going for Joliffe. And now the book is here! Hooray! Only one more challenge. This is the last one I'm signing up for until I complete at least one of the 2011 challenges I've already committed myself to. 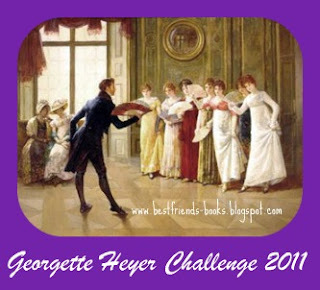 But I've heard so much about Georgette Heyer and have never read any of her books. 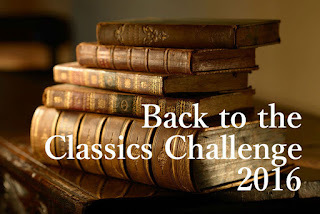 So thanks to Stephanie's Georgette Heyer 2011 Challenge I'm going to finally do it. (I'm only going to try for the lowest level of this challenge though. Inquisitive sums it up for me.) The first book I'll read will be Devil's Cub, and I'll go from there. Inquisitive: Read 1-3 GH novels in 2011. Fascinated: Read 5 GH novels in 2011. Captivated: Read 10 GH novels in 2011. Obsessed: Read 15 GH novels in 2011. Addicted: Read 15+ GH novels in 2011. Any of Heyer's novels count for the challenge whether they are regency, crime or thriller (however, most of her books are regencies.) Here is a full list of her novels. Head on over to Books are a Girl's Best Friend to sign up. Everybody has probably seen the BBC list by now. 100 books chosen in some way obscure to me (but that seems suspiciously weighted toward Dickens, doesn't it?) to tell you how well read you are. The rumor is most people have read 6 of these books. Book bloggers are naturally scoring much better than this. I just wanted to know one thing--have I read more books on the list than my husband? Well, the results are in. My books are in bold. His are in italics. Ones we've both read are in red. We only counted books we completed, not books we started but never finished. The funny thing is, we both totaled 33. Marital harmony reigns. In addition to the Holiday Celebration interview and chance to win a copy of The Queen's Daughter* (and other prizes!) over at Books are Dreams, The Book Scout will be hosting a YA historical fiction month beginning on Monday. You'll find interviews, reviews, and giveaways. I'll be there, and there will be another chance to win The Queen's Daughter. *The Queen's Daughter giveaway at Books are Dreams ends December 13th. But the Holiday Celebration runs through December 25. TGIF- It's time to blog hop! Join the book blogger hop at Crazy for Books, a weekend blog hop providing a great opportunity for readers and bloggers to connect. 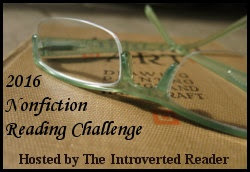 This week's prompt comes from Angela at Library Girl Reads. "What is the thing you like most about reading book blogs? Is it the reviews, author guest posts, articles, giveaways, or something else entirely?" My answer is: I like the reviews most of all. I primarily read blogs to check out the reviews and see other people's opinions of books I've read and to find new books to read. But I also read blogs because I'm intrigued by the varied personalities of the bloggers. I like people who like books. And people who love books enough that they want to spend time telling the world about the books they've read...these are people I want to get to know better. What is one of your literary pet peeves? Is there something that writers do that really sets your teeth on edge? Be specific, and give examples if you can. I struggled with this. I'm not sure I have a pet peeve. Something can bug me in one book, but another writer can do the same thing and get away with it. It's all in the execution. I suppose one thing that tends to put me off is mystery/thriller writers who use child torture and mutilation as a way to build suspense or get the reader's attention or sympathy. If a psychopath is killing children, I usually don't read the book. Join along in the hops. I'd love to hear your comments! Ella Minnow Pea is just a small town girl living on the island of Nollop off the coast of South Carolina. (The fictional island is geographically close to the US but is autonomously governed.) She is witness to, chronicler of, and activist in the fight against the bizarre events that unfold. Her island home revolves around (worships) its most famous deceased resident, Nevin Nollop, the author of the phrase that was once memorized by budding typists everywhere: "The quick brown fox jumps over the lazy dog." This famous sentence was purportedly the shortest known sentence to use all the letters of the alphabet. As such, it was immortalized with tile letters atop a statue of Nollop in the town center. One day, the letter "Z" falls from the monument!!! The town council rejects the possibility of repair, opting instead for the choice that Nollop is obviously commanding from beyond the grave. The letter "Z" must be excised from the alphabet. Henceforth, the inhabitants of the island are forbidden to use it. This option takes some of the islanders by surprise. It seems a bit extreme. But after all, it’s only a "Z." As time goes by, and more letters fall, the council goes to greater lengths to ensure that letters are obliterated from existence. Neighbors begin to inform on one another. People are exiled from the island. Ella is one of the few brave resistance fighters, seeking sanity in a world gone mad. It’s a silly book. And yet through this silliness Dunn is showing us things about human nature and human resilience. Ella is a shining example of courage and common sense. And through it all, the love of language shines brightest of all. 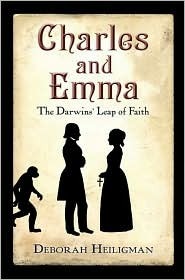 Charles and Emma: The Darwins’ Leap of Faith by Deborah Heiligman is the dual biography of Charles Darwin and his wife, Emma Wedgwood. Naturally, it tells the story of how Darwin developed his theory of evolution, but it gives equal attention to the crucial role played by his wife and family. It shows how important Emma was to Charles. The Darwins' marriage was based on love, mutual respect, and compatibility. Emma discussed Charles’s theories with him; she proofread his manuscripts. However, Emma, unlike Charles, was deeply religious. She understood what his theories implied about the role of God in creation, and she was terrified for Charles’s immortal soul. The tension this caused in the marriage mirrored the crisis that would erupt when Charles formalized his theory and finally published The Origin of Species. But it was Emma’s support that had allowed him to prepare for what was to come and to better appreciate the point of view of the opposition. Charles and Emma uses quotes and excerpts from letters and diaries to provide an entertaining, easy to read, straightforward narrative of the lives of this couple. While full of information, it is written in an engaging style so the reader is never bogged down. The book is also a 2010 National Book Award Finalist and a 2010 Michael L. Printz Honor Book. So you don’t have to take my word for how good this book is! 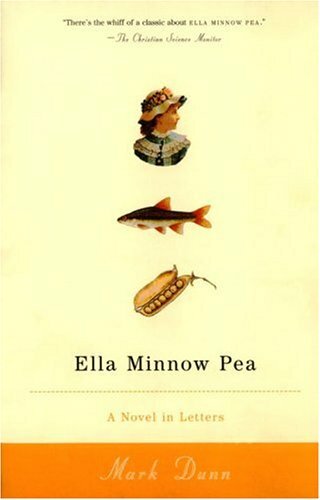 The literary blog hop question about poetry combined with my recent reading and review of Jane by April Lindner reminded me of this book that I had read and reviewed for The Historical Novels Review (Review below appeared in HNR Issue 52, May 2010). If you like seeing how authors can play with classic pieces of literature of various types to come up with compelling novels, Evangeline by Ben Farmer is another enjoyable example. Based on the poem of the same name by Longfellow, Evangeline tells the story of the Great Upheaval, the forcible removal of the French Catholic Acadians from their lands in present-day Nova Scotia by the British. Britain was at war with France in 1755, and the Acadians were seen as a potential threat. Moreover, they held land coveted by British colonials. The Acadians were imprisoned and dispersed throughout the British colonies, where harsh conditions took a huge toll on the population. Eventually many of the survivors settled in New Orleans. Life is breathed into this tragic historical event by showing how it affected the lives of individuals, most particularly Evangeline and Gabriel, young lovers separated on the night before their wedding. Their desire to reunite keeps them alive and gives them a reason to struggle on despite the hardship and indignity they must face throughout the next ten years. Readers follow their arduous and circuitous route to New Orleans. The book is beautifully written and does a good job of bringing the characters to life. They are not always likeable, but they are understandable. The pacing is somewhat uneven, with some parts that are breathtaking and others that seem to be passing time until there is reason to move forward again. But even in the quieter moments, it is interesting to see how the Acadians manage to help one another survive. Evangeline is symbolic of the strength of love and of a people's capacity for endurance. What a wild day. I'm finally getting around to the hop hosted byCrazy for Books, a great way to meet other book bloggers and find some new books to read. As a policy, I've pretty much decided not to post reviews of books I didn't like. Not all my reviews are overwhelmingly positive. If there is something about a book I didn't like, I'll say why, but generally the books I review are ones that, on balance, I enjoyed. This is largely because I realize how subjective book appreciation is -- there are some books that I might not enjoy just because I'm reading them when I'm having a bad week. OR, I might particularly enjoy a light romantic comedy just because I'm having a bad week. I realize I'm entitled to my own opinion-- I'm allowed to dislike a book. But there are so many books I do like, I'd rather talk about them. However, in the spirit of the hop, I'll admit to not enjoying, on balance, one very popular hyped book. Before I Fall by Lauren Oliver. I thought it was an interesting premise and a quick read. I didn't have problems with repetition-- to me, each day differed enough from the previous to show a different facet of the protag's evolution. I thought it was very well written. What got to me was the shallowness of the characters. Their thoughts, their problems, their friendships...everything about them made me think...bleh. Not just the protag and her friends, but pretty much everyone in the book. I was interested in the story, but couldn't bring myself to care what happened to the people. But maybe they just seemed shallow because they were all being seen through the protag's eyes? At any rate, I'll have to give Delirium a try, because Oliver is a wonderful writer. Katie is interviewing me over at Books are Dreams today as part of her Holiday Celebration. 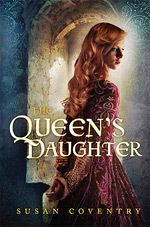 You can enter to win a copy of The Queen's Daughter. She's also offering up a whole lot of other prizes during the celebration. Check it out! The Literary Blog Hop is hosted by The Blue Bookcase. Hop on over to check out the guidelines and see the list of interesting blogger participants. My favorite poem is Eldorado by Edgar Allan Poe. Well, maybe it's going too far to say it's my favorite, because it's hard to have a single favorite poem that would always be at the top of my list no matter my mood. But Eldorado often comes to mind when I think of poems that I love. Why this one? I love Poe, for one thing. But it's also one of the first poems I remember memorizing on purpose on my own. And it's one of the first poems I remember puzzling over. What does it mean? I distinctly remember asking my father what Eldorado was. And he said it was a city of gold, a rumored city of gold that didn't really exist. I was pretty young at the time, although I can't remember exactly how young. Certainly preteen. That much info was a lot to chew on. And it still is. I used to think it was a sad poem. This knight wasted his whole life. That's where greed for gold will get you. And he'll just go on searching forever and never find it. But then I began to realize...he spent his life singing a song and seeking. And the shade tells him to go boldly on. Isn't that what we should all do? Seek our own Eldorado? It's become so trite to say that the joy is the journey, not the destination. But riding boldly on, singing the song, is Eldorado. The Bookshop by Penelope Fitzgerald is the story of a book-loving widow who uses her minimal inheritance to open a bookstore in the Sussex village of Hardborough. 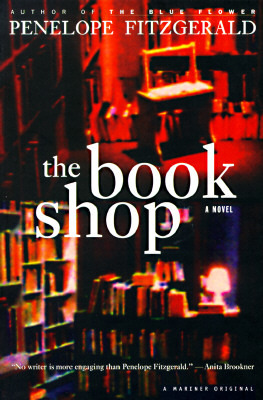 Written in 1978 and set in 1959, it can be seen as both a cautionary tale (bookstores will disappear if they are not supported) and as a calming influence (the sky has been falling for fifty years and bookstores have not disappeared yet.) However, it would be a mistake to simply see this as a book about the challenges facing independent bookstore owners. Florence Green’s attempt to build a new business in a place that is resistant to change—and at the same time to improve the literacy of the citizenry and expand her neighbors’ horizons—does not sit well with a minority of the townspeople who, for one reason or another, view her as a threat. Watching the petty way the small minded manage to sabotage her efforts is infuriating. Watching the way her supporters and friends quietly turn their backs and drop away is heartbreaking. It hurts because it is all too believable. We follow the short rise and calamitous fall of Florence Green’s bookshop, the dashing of her dreams, and what surely must be the crushing of her faith in humanity. Booklovers who read this short novel will appreciate the beauty and potential in the world created by Fitzgerald, and feel an ache of regret for all that is lost. So much was offered to the inhabitants of this town by this generous woman who only really wanted to share her love of books. Maybe that’s why Florence’s rejection stings so much. This past (long holiday) weekend, after reading Revolution by Jennifer Donnelly and finishing Every Man Dies Alone by Hans Fallada, I was in the mood for something lighter. Luckily I had Jane by April Lindner in my TBR pile. I’ve been looking forward to this modern-day reworking of Jane Eyre, and finally settled in for the read. Jane Moore is the nineteen-year-old clearheaded product of a major league dysfunctional family. Intelligent and pragmatic, she managed to keep herself together well enough to escape her unfortunate upbringing and be accepted to Sarah Lawrence. But her parents’ sudden death in a car accident put an end to her hopes of educating herself toward a better life. Or at least, it put those hopes on hold. Without funds, she is forced to drop-out and look for work as a nanny. Because she always kept to herself, has never been interested in celebrity gossip, and comes across as very straight-laced and reliable, she is hired to join the staff at Thornfield Park, to work for Nico Rathburn. The reclusive Mr. Rathburn is a famous rock star, or was. His career has been sidelined by drugs, women, and personal scandal, including two failed marriages that have left him with custody of a five-year-old daughter, Maddy. But he is about to stage a comeback. Jane is thrilled to take the position, not because she will be working for a rock star, but because she will have a job. She approaches it in her typical practical, introverted, make-the-best-of-things way. In a short time, she forges a bond with Maddy. A relationship also forms between Jane and Nico. It moves quickly from that of employer/employee to friendship to more. But not all is as it seems. Nico’s past is haunting him and Thornfield Park. Jane knows he is hiding something, but what? Will Jane’s love survive the revelation of his secrets? The book follows the plot of Jane Eyre remarkably closely considering its modernization. Readers will probably figure out what is going on long before Jane does, whether they are familiar with the original or not. Nevertheless, it’s a fast-paced read. Jane is an endearing protagonist and I was happy to kick-back and be entertained by the romance.